Our playground is now open! 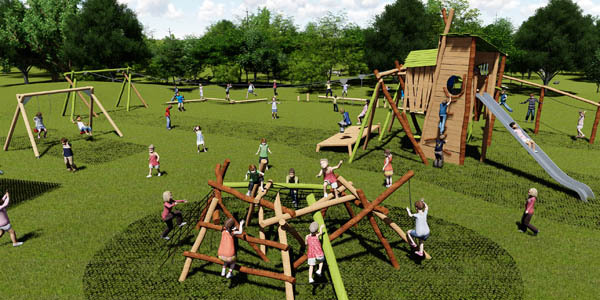 We are excited to announce that we reached our fundraising target for a brand new playground at Milton Country Park! This playground is only possible thanks to the generous donations and support from our visitors, local businesses and key funding awards (see side column for a full list of our supporters). The playgrounds at Milton Country Park have been much loved and well-used for many years. Our equipment was installed in 1999 and is now at the end of its useable life. The park has a thriving and growing community and outdoor play is a key element to what makes the park such a great resource. It's fantastic that we were able to add a playground which better reflects our beautiful park setting and provides a stimulating, exciting place for children to enjoy playing, learning and physical activity. This playground project was completed at the end of June and is now open! A huge thank you to everyone who has supported us with this project. It couldn't have happened without you and we look forward to seeing the playground enjoyed by families for many years to come! 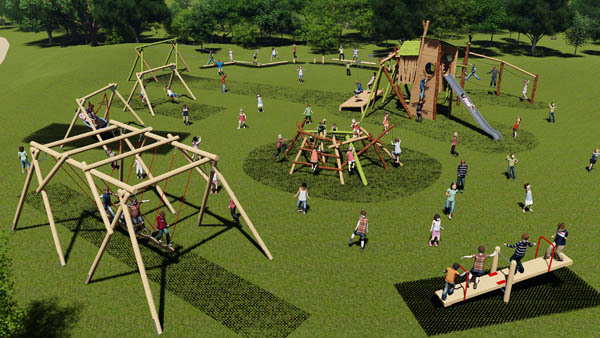 Our playground design was created following several consultations with visitors and local school children so that we could be sure we were creating something people really wanted, as well as suiting the needs of the park. 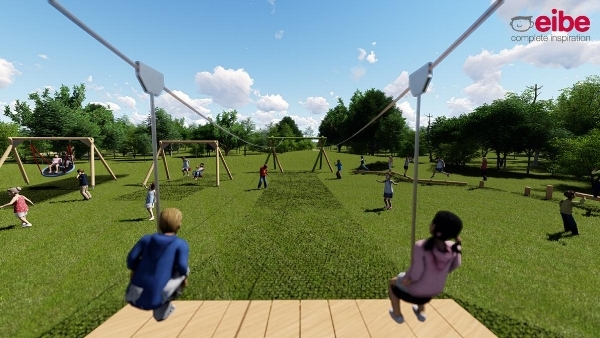 The children were so keen on having a zip-wire we've added a double zip-wire to the design so that they can play with their friends! The design has been broken down into three phases. How much we can do is entirely dependent on how much we can raise. This design can be added to with more play equipment, landscaping, planting and seating. As our funds grow so can our ideas! !